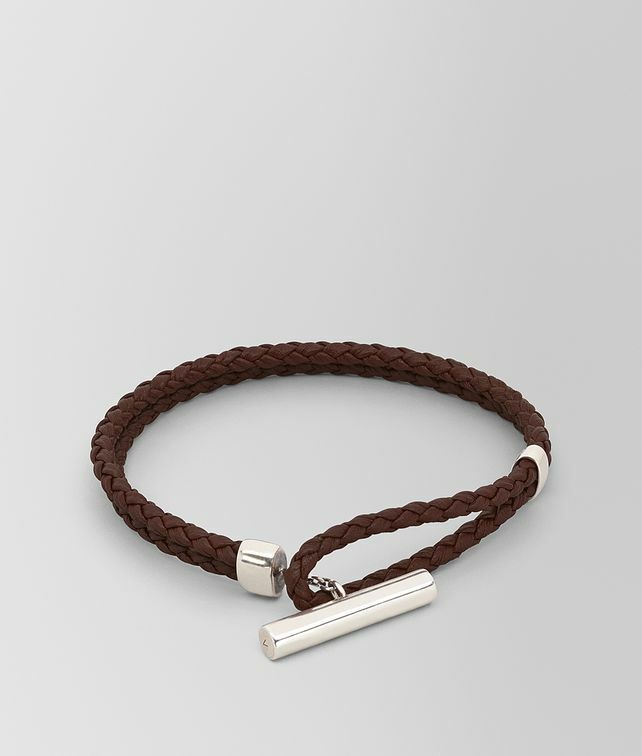 The double-rope bracelet is woven by hand from soft nappa leather and features a new smooth silver T-bar closure stamped with the Bottega Veneta hallmarks. Beautifully crafted with a classic design, it is an essential and timeless piece of men’s jewellery. Size S: 18.5 cm | 7"
Size M: 20 cm | 7.8"
Size L: 21.5 cm | 8.2"